With the big end-of-year holidays straight ahead, it’s easy to forget that spring event season is around the corner. If your organization has a spring fundraising event planned in the next 4 to 6 months, now is the time to start strategic promotion. You can perfectly arrange logistics, procure charity auction items, plan the agenda, book vendors and more. But if there’s not enough supporters in attendance, those efforts will fall flat. 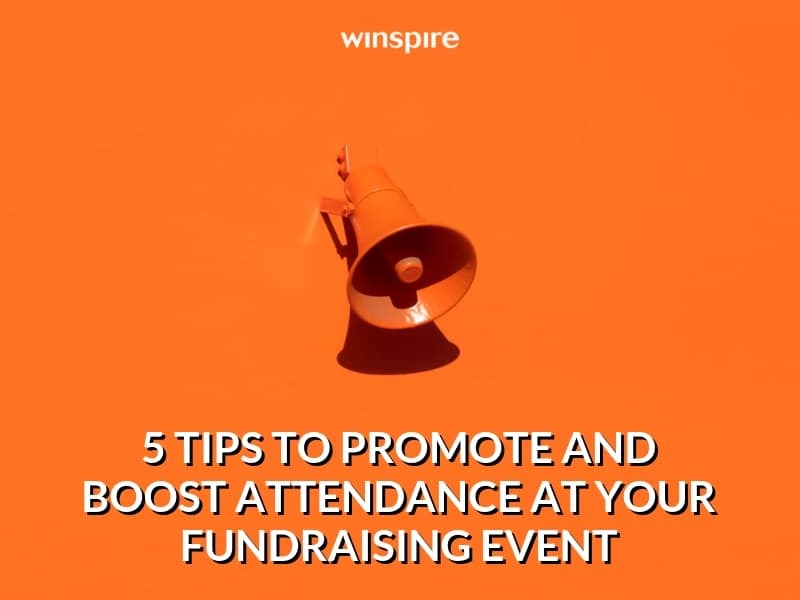 In contrast, having the right audience in the room can propel you above and beyond your fundraising goals and invigorate those working towards your mission. Successful events start with how the event is promoted. Focus on guest quality, not quantity. Let’s dive into the first strategy. 1.Focus on guest quality, not quantity. Believe it or not, the number of guests at any given charity event doesn’t have much of a correlation with how much money you’ll raise. The true X-factor is the type of people at your event, and efficient event promotion is all about getting the right audience into the room. They have a high net worth, or giving capacity. They will spend money at the event in support of the cause. Take some time to discuss your ideal guest with the entire event committee. Whether creating a flyer, presenting at local events or sharing via word of mouth, every piece of promotion should cater to the interests and perspective of people who fit this profile. Expert Tip: Monitor (or even reconsider) the use of sponsored tables. If you choose to offer complimentary tables or seats as an incentive to corporate sponsors, encourage sponsors to send influencers and decision makers rather than employees. Peers of high net worth will better fit your ideal guest profile and mission. Bottom line: Don’t fall into the trap of making sold-out tickets your number one goal. The most successful events are those able to keep the focus on fundraising. This applies not only to the night’s agenda, but throughout your promotional strategy. Why make your mission central to promotion? The more specifically you can demonstrate impact, the more informed and prepared guests will be to give. Before sending out an invitation, writing a social media post or handing off a sponsorship request letter, ask how this piece of collateral tells the story of your nonprofit. Is the point of the event clear? Have you included the event mission, striking testimonials, important statistics and/or dynamic pictures? Remember, one informed guest who cares about your cause is worth a dozen who know only of the night’s entertainment. Procuring event sponsorships is critical to offset costs. One type of sponsor that can uniquely help with promotion efforts: members of your local media. Newspapers, magazines and TV channels may be interested in donating in-kind advertising to the event. You feature their logo in promotional materials and at the event; in return, they promote your event leading up to the big day. Best of all, the more people that attend, the more impressions their logo and brand will receive, so your media sponsors will be mutually invested in a thorough promotional campaign. Tip: See if media sponsors can write off the monetary equivalent of their donation in taxes. This can sometimes encourage more coverage. Despite the boom of social media in 2018, email is still virtually every event or giving campaign’s primary marketing tool. Email campaigns are low-cost to launch, welcomed by subscribers, and offer easy-to-analyze metrics that can help you change course if needed. The trick to impactful event emails: making sure each message features new, exciting content. What aspects of your event will most excite your supporters? What new or successful programs are being funded by the event? How can readers get involved today to contribute to your mission? Once you know what will draw in readers, they’re much more likely to respond to your emails – and mark your event on their calendars. 5. Leverage big-ticket auction items. One big draw of many fundraising events is the live and silent auction. If you’re hosting an auction, promotional emails and social media posts are the perfect opportunity to share your biggest, most ‘WOW’ worthy auction items. Generates buzz and increases ticket sales. Increases bids during the auction. Draws high-net worth donors to your event (as mentioned in tip #1). Big marquee items in the live auction – think VIP seating at a top Vegas show, a trip to Cancun or gourmet dinner party for 10 – help attract and impress potential major donors to your cause. That’s a huge win for your cause well beyond the initial purchase of an auction item. So you want to weave big-ticket items into your promotional strategy as they become available. So there you have it! Promotion is well worth your careful time and investment, and preparation now is key to success later. We hope these 5 steps will help your event committee get the most return possible out of your careful efforts. 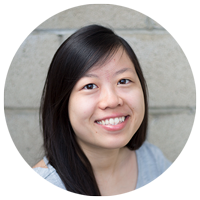 This post was created in collaboration with Summy Lau of Winspire. Winspire provides incredible travel packages and luxury hotel stays for charities to use in fundraising auctions and raffles, with no upfront cost. As Fundraising Editor, Summy brings extensive experience in nonprofit development, event fundraising and publishing to Winspire’s semiweekly event fundraising blog, Winspire News.